So you’ve decided to buy winter tires. What prompted your decision? Did you have trouble gaining traction or maybe you slid into an intersection? Or maybe you decided that buying winter tires would be a good idea before you have a problem. No matter what started you on this journey you will not regret purchasing winter tires. Most vehicles come equipped with all season (which are really 3 seasons) tires. Many higher performance vehicles come with summer rated tires only. All-season tires are a compromise of long tread life, good traction in all temperatures, quietness and their ability to perform in rain and snow. Simply stated, all-season tires can’t offer the same traction and braking ability as winter tires. As a matter of fact, at temperatures at or below 7°C on dry roads winter tires will outperform all-season tires. When buying winter tires make sure you discuss your driving style with the person assisting you. Tell them if mostly drive in town (daily commute), go skiing up north or maybe you drive all day long for work. Make sure you share this information to help choose the best tread pattern and price range for your driving needs. Always install 4 winter tires. Why? Winter tires are made of rubber compounds that are “softer and stickier” at temperatures at and below 7°C. 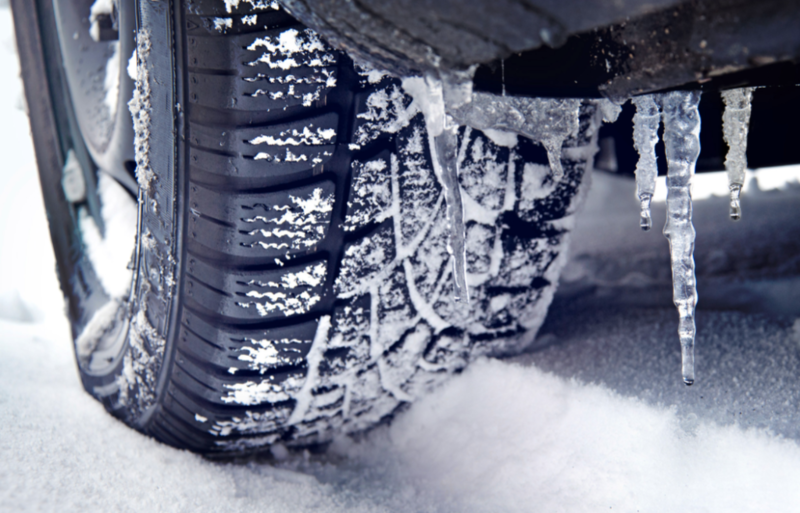 “Mixing” winter and all season or summer only tires can cause adverse handling and reduce braking performance. Besides, don’t you want good traction and braking on all 4 wheels? Of course, you do! Purchasing a set of steels wheels specifically for your snow tires makes sense for a couple of reasons. First is the fact that installing and uninstalling tires on rims is hard on the tires and on the rims, especially if there are of the aluminium or alloy type. The labour cost to change them over twice a year is substantially less and will help recover the cost of the steel wheel over the life of the tire. Another thing to consider when purchasing winter tires is the fact that your all-season tires will last much longer. Before taking your new winter tires out for a spin, check that your vehicle is winter-ready by taking your car in for an inspection, checking and replacing vital fluids, and inspecting your battery. Winters in Canada can be harsh on your vehicle, but not if your vehicle is in tiptop shape. Taking preventative measures can end up saving you money on expensive car repairs and even better, prevent you from being stuck roadside in freezing cold temperatures this winter. Got winter tires from last season stacked in the garage? We’ll be happy to make the switch for you. Find a Master Mechanic location near you, and one of our expert mechanics can help you ensure your vehicle is ready to take on the winter!